Dave is the church planting pastor of Christ Church InTown. 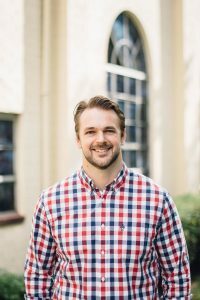 He grew up in Jacksonville, before moving away to attend Rhodes College (Memphis, TN) and Reformed Theological Seminary (Orlando). While in Orlando he met his wonderful wife Hayley. He served as Assistant Pastor at Lake Baldwin Church in Orlando before returning to Jacksonville to begin the work of planting Christ Church InTown. Dave loves Jacksonville and is excited about the city that it is becoming. He lives in San Marco with Hayley and their two boys. He enjoys reading, Crossfit (but he promises not to talk about it all the time), and eating good food, preferably with family and friends. Willie serves as our Director of Community Outreach. He is a native of Jacksonville, and has served as a pastor in local churches for the past 18 years. Prior to this he has served as a police officer and in the U.S. Marine Corps. He is married to Sonya and together they have two adult children, Coery and Jeremy, all of whom live in Jacksonville. 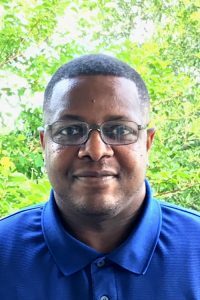 In addition to his work at Christ Church InTown, Willie is pursuing a seminary degree at Gordon-Conwell Theological Seminary. Matt Kodatt grew up in the suburbs of Jacksonville before joining the US Army and living in various cities around the country. 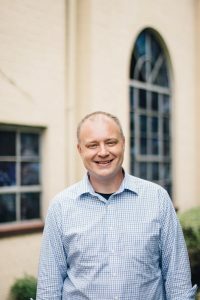 Matt received a Bachelor of Philosophy degree from Covenant College (Chattanooga, TN) and a Masters of Theological Studies degree from Covenant Seminary (St. Louis, MO). Matt spends his days enjoying the company of his wife, Alina, and their 3 children, studying the mysteries of music and learning to cook (and eat) good barbecue. 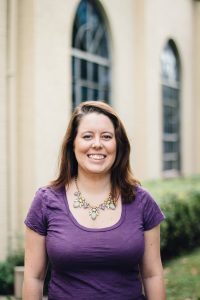 Amanda is the Church Administrator for Christ Church InTown. She grew up in Marietta, GA before moving to attend Mercer University in Macon, Ga. While in Macon she met her husband Ben. They relocated to Ben’s hometown of Jacksonville, FL. She worked for 6 years in the non-profit arena before working at InTown. Amanda enjoys crafting, reading, and Ohio State Football.